Perhaps you have dreams of owning your own Japanese arcade game cabinet. Heck, maybe you already do. But if you are in the market for one (especially a Konami music game cabinet), just know what you are getting yourself into. 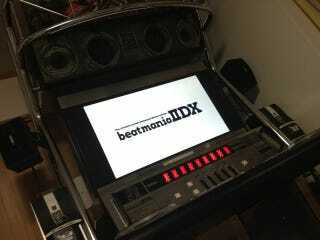 Recently, Japanese Twitter user Ronzu uploaded photos of setting up a Beatmania IIDX 21: Spada cabinet. At home. If you've ever seen or played one of these cabinets, you'll know they are massive. And, I bet, expensive.